DC and Warner Brothers have made it no secret that Justice League is on their mind. Having cast the new Batman, and Wonder Woman, it is to be expected that we would be hearing reveals for the rest of the League in due time. 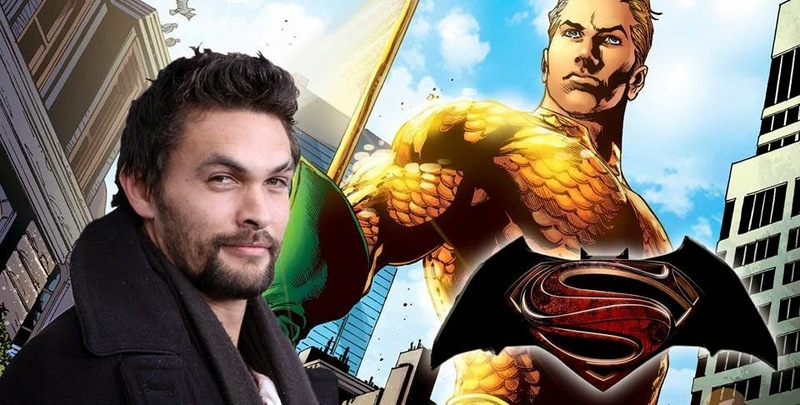 According to a report from Hitflix, Game of Thrones actor Jason Momoa has been officially cast as Aquaman in the upcoming Batman vs Superman: Dawn of Justice and Justice League, after quite some time floating in the "rumor pool". Someone else who's not particularly happy about what happened in [Man of Steel] is Aquaman. I'm not sure if that's the actual name they'll use or not, but what we're hearing is that he is not pleased about the World Engine and what it did to the Indian Ocean. He will not have a major role in the film, but he will make an appearance, and it definitely sets him up to return once Snyder gets to Justice League. At this time, Warner Brothers has not confirmed anything, and Momoa has been brushing off rumors for the past year or so. At Bucharest Comic-Con, he had this to say. It also raises the question on how Aquaman will be portrayed. Aquaman over the years has had two very distinct styles, one being a short-haired, clean-cut "Captain America of the seas", and the other being a bearded, long-haired, rugged, harpoon-for-an-arm manly-man worthy to be called King of Atlantis, and given Momoa's previous well-known role as Game of Thrones Drogo, the latter will probably be more fitting to his physicality. Batman V Superman: Dawn of Justice comes out May 6, 2016 and will be directed by Zack Snyder.